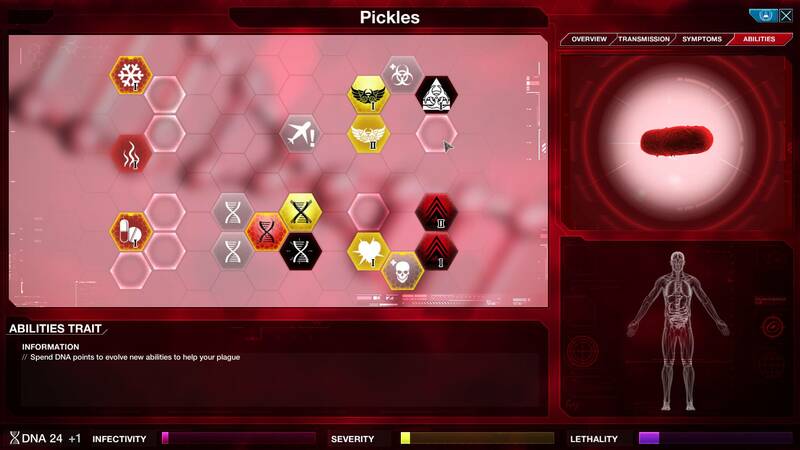 As soon as you start Co-Op mode, you’ll soon realise that this is a fully-formed expansion to the core Plague Inc: Evolved game with radical differences to single player. Two different diseases team up to infect and destroy the world together but Humanity has new tricks up its sleeve to fight back! Work closely with your partner and use brand-new genes, traits and strategies to smash cure labs all over the world before they eradicate you. It all begins with Patient Zero as you and your partner select where to start your plagues - will you choose to start on opposite sides of the world, with one player evolving a heat-resistant plague and the other aiming to wipe out wealthy countries? Or will you stay close together in an attempt to minimise the chances of being spotted too soon? The disease traits have been fully redesigned and there are a whole host of new Active Abilities to use to help your disease along, such as Unscheduled Flight, and location-specific Infection and Lethality Boosts. Will you help your partner avoid the cure - even if it weakens you? Can you resist the temptation to steal some of their infectivity for yourself? With all these new abilities, and two diseases running rampant across the globe, it’s no surprise that humanity is more vigilant than ever. Their most powerful weapon against the plague are highly responsive cure labs that focus on the disease they see as the bigger threat. 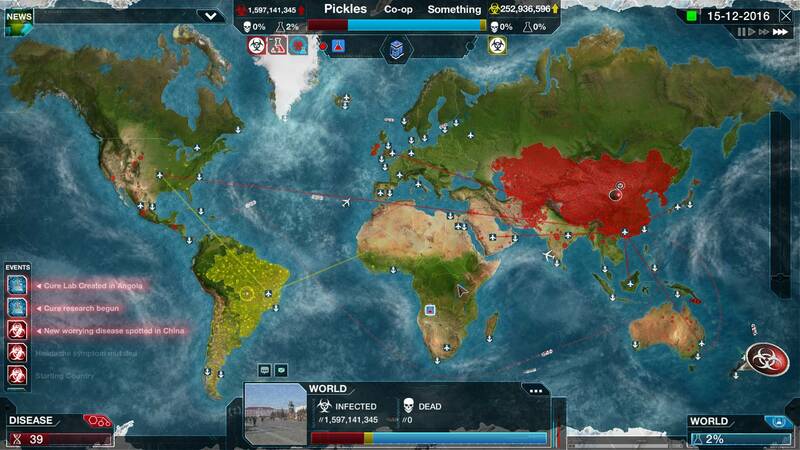 Your disease will need to act aggressively - fighting to spread country-by-country basis as new labs pop up! 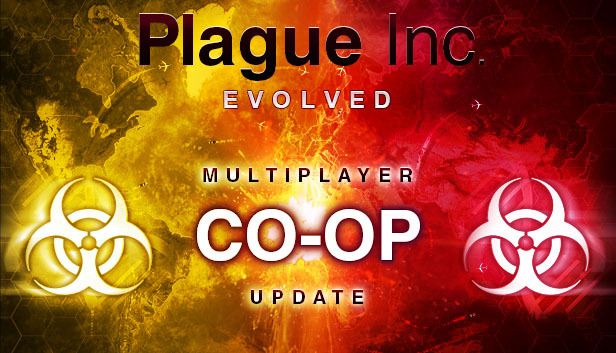 Co-Op mode will be available with version 1.0 of Plague Inc: Evolved, coming to Steam for PC, Mac and Linux on February 18th. Plague Inc: Evolved is leaving Early Access - Version 1.0 coming 18th February 2016!